One summer during high school, I spent a week with a family friend, Bobby, while her daughter and family were out of town. Bobby was a totally fascinating lady–she attended Berkeley in the 30’s where she studied micro-biology (a lady! in the 30’s! micro-biology! )…and, she introduced me to the ice cream soda, for which I will be forever thankful. Before, the world of ice cream sodas consisted of the standard root beer float. After, I knew that the possibilities were endless. 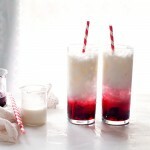 An ice cream soda is a super simple, old fashioned, soda fountain treat. It’s a simple mixture of ice cream, flavored syrup, and soda water. Here, I’ve paired super maple-y ice cream with a fruity blueberry syrup…because if we’re talking blueberry sans lemon, then I want it with maple. It just is. 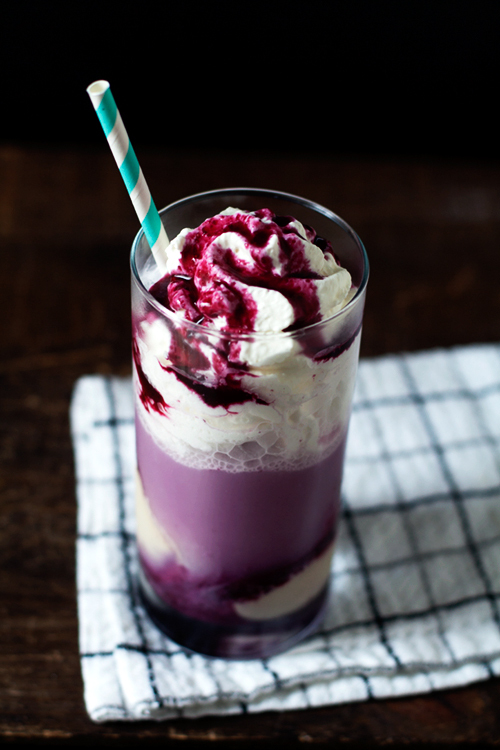 Adding soda water makes this drink effervescent and mixes the ingredients to create a creamy lavender color with streaks of pale maple ice cream and bright punches of deep purple. 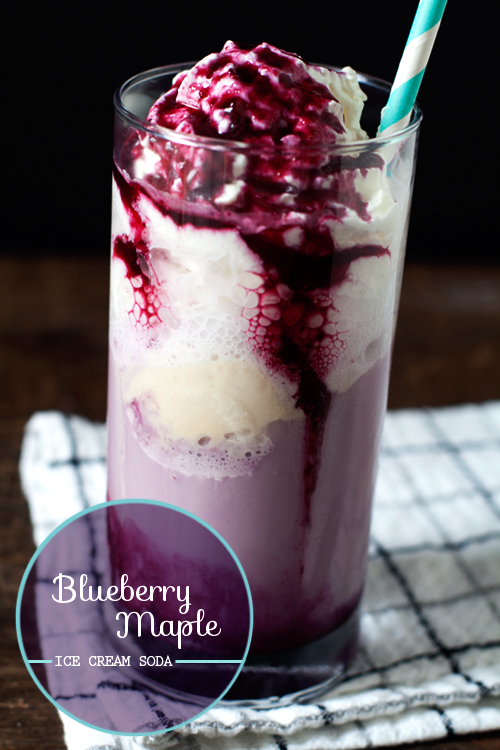 This Blueberry Maple Ice Cream Soda is SO PRETTY and….it tastes like pancakes…enough said. There will be enough ingredients to make several ice cream sodas…so, have one today, tomorrow, and the next day, OR share! Makes 1 ice cream soda. In a tall glass layer the ice cream scoops with spoonfuls of syrup. 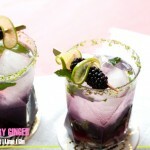 Pour on the soda water to cover, garnish with whipped cream and more syrup. Serve with a straw. In a medium saucepan, heat maple syrup and bring to a boil. Cook, turning the heat down as needed if the syrup bubbles too much, until reduced by about half, 8 to 10 minutes. Remove from heat and slowly whisk in the cream. Pour 1/4 cup of the milk into a bowl and whisk in the cornstarch to combine. Set cornstarch slurry aside. Whisk in the remaining milk and salt with the cream and maple mixture. Return to heat and bring the maple and dairy mixture to a low boil. Quickly whisk in the cornstarch slurry to combine, bring to a boil and cook, whisking until thickened–about 4 minutes. Remove from heat. Place the cream cheese in a mixing bowl (preferably with a spout for easy pouring), and mix lightly with a wooden spoon until smooth. Stir in the hot ice cream base until combined well. Prepare and ice bath in a clean sink or large bowl. Pour the hot maple ice cream base into a gallon-size zip top bag, seal, and chill in the ice bath until cooled completely. Process the ice cream base in an ice cream maker according to manufacturer’s instructions. Scrape into a freezer container and seal, freeze for several hours until firm. In a small saucepan, over medium-high, heat blueberries with sugar and lemon until berries burst and release their juices and the sugar is dissolve Bring to a boil and cook 1 minute. Remove from heat and press the blueberry syrup through a fine mesh sieve, discard solids. Pour syrup into a heatproof jar, cover, and refrigerate until ready to use. I’ve always wanted to drink blueberry pancakes! giiiirl! i knew you’d be into it! Oh my does that look good. I’m going to have to make one this weekend! Especially since it’s sunny now, yay! If it taste like pancakes then I am all in! Wow, I totally love your photo’s! And the ice cream soda? A-mazing!! PS. Why haven’t I tried blueberry and maple together before? I mean, other than blueberry pancakes with maple syrup, obvi. You took this confection right out of my head and you made it! And you photographed it 1000x more beautifully than I ever could have. Looks amazing. This looks insane! -ly good! Wanting one now. That is so pretty! 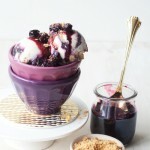 Oh, and blueberry’s + Ice cream is awesome! 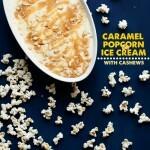 This recipe is brilliant! I never would’ve thought of an ice cream soda outside of the traditional rootbeer float. This looks even better! Bobby sounds super cool! 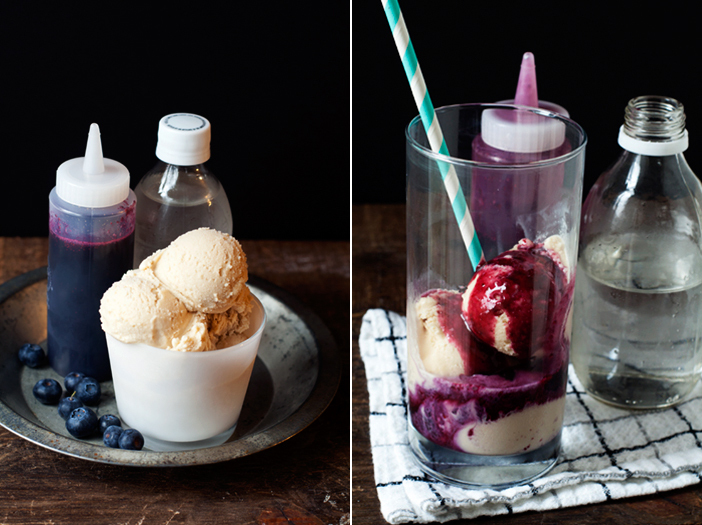 I can totally get into these ice cream sodas. Prettiest ones ever! I don’t know if the ice cream or the syrup sounds better. I guess that’s why you put them together! 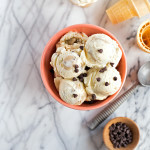 THANK YOU for yet another excuse to break out my new ice cream maker :) This looks absolutely amazing! well, you’re welcome! ha, thank YOU! How did you know I’ve always wanted a pancake I could drink in the form of a milkshake?! I’m just psychic that way! I want to make this a wallpaper on my work computer! The colour makes me so happy! Omg, why did you have to do this to me?!?! It looks so good! And how have I never stumbled across your blog before? Love it…going to have to make these :). Thanks! 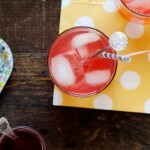 When berries are fresh, I am totally making one of these sodas. So yummy! mmm… ice cream soda… takes me back. such beautiful colors. Looks absolutely delicious! I would so love to try some. We don’t get anything like this type of soda in Australia. OMG WHAT – This is my favorite icecream flavour, in a spider/float. YES PLEASE. Your my new fav food blogger.